Another tricky treasure from an internationally renowned author. Ugresic has been in exile from her native Croatia since the region emerged as a country after the breakup of Yugoslavia. A vocal critic of nationalism, she was, she says, branded a “whore, a witch, and a traitor.” It’s that second slur that is most intriguing when it comes to reading the author’s work. In Baba Yaga Laid an Egg (2010), she used a magical crone from Slavic folklore as a lens through which to view contemporary women’s lives. 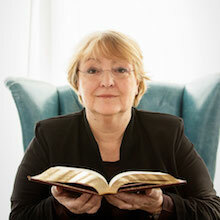 Here, she takes inspiration in the vulpine creature who gives this new book its name. As a mythic figure, the fox takes on and sheds attributes as he—or she—travels across cultures, but one characteristic seems to remain constant: The fox is an ambivalent type. 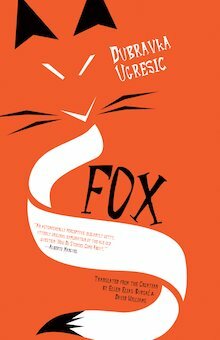 By making the fox a sort of mascot to the first part of her novel, a section called “A Story about How Stories Come to Be Written,” Ugresic is creating an affinity between the writer and the trickster. Even at her most straightforward, Ugresic is a sly storyteller, and here she is using every trick in the postmodernist playbook. Indeed, there are moments when it seems like she’s pulling a fast one even when she isn’t. For example, a reader who isn’t knowledgeable about early-20th-century Russian literature might be forgiven for thinking Okay! An American Novel by Boris Pilnyak is an invention simply because that title is just too perfect. If Okay! is Ugresic’s creation, it’s a clever one. But the reader who bothers to Google is in for the delightful discovery that both Pilnyak and his “American novel” are real. Then we’re left to wonder what true and false mean in fiction anyway, a question Ugresic complicates by using a first-person narrator and autobiographical detail. The translators deserves special mention, too. “The fox meets frequently with affliction, and is thus consigned to loserdom, its personal attributes preventing contiguity with higher mythological beings.” The juxtaposition of “loserdom” and “contiguity” is not only funny; it also captures the high-low essence of Ugresic’s style. As with the last season, we’ll be broadcasting these first live on YouTube. That way, if you’re reading along and want to get in on the conversation, you can post comments and questions, which we’ll reply to live. (One facet of this project is the idea that it’s a sort of Internet-enabled book club.) I’ll post these recordings here on Three Percent every Tuesday, and then, on Thursday, we’ll release the podcast version. So, you can watch live, watch later, or listen whenever! Just so you have all the details, here’s the main Two Month Review YouTube channel, which you can subscribe to, here’s where tonight’s videocast will take place, and here’s the like to the Two Month Review on iTunes. Given the structure of Fox, this should be a great season to dip in and out of. The novel is a singular novel, but each of the sections could theoretically stand alone. So if you’re not caught up, you can still tune in for our jokes and stories and observations. Also, you can get 20% off of Fox by ordering through our website and using the code 2MONTH at checkout. Here’s the full schedule with the YouTube dates, podcast dates, and section of the book being covered. Hope you can join it and follow along! Plus, if you join us tonight (or listen on Thursday), you’ll find out what book we’ll be covering this fall. It’s the first non-Open Letter title, and one that’s big, intimidating, and incredibly beloved. Enjoy the podcast, and be sure and get a copy of Fox!